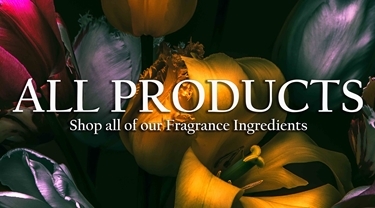 By popular demand, we are listing of all of our fragrance ingredients in one category. Taste Description: Dry woody carrot. Odor Description: Sweet, fresh, dry wood, spicy. Odor Description: Diffusive, Musk, Woody, Spicy. Odor Description: Fresh, Fruity, Cassis. This Western Red Cedar Leaf Essential Oil from Cedarome in Canada is a wildcrafted 100% Pure & Natural Essential Oil extracted via steam distillation. Its aroma is clean and camphorous with nuances of fresh green. Odor Description: Woody, Dry, Cedarwood, Ambergris. Odor Description: Woody, Balsamic, Dry. This fragrance oil captures the sweet delicate floral of Japanese cherry blossoms. Sweet, floral, spicy, balsam, cinnamon. Natural, non-GMO, and Organic Compliant. Odor Description: Lemon Peel, Citrus, Juicy, Green, Lime, Woody, Herbal. Powerful fresh green citrusy, slight woody odor/musky rose. Sweet, rose, leather, musty, floral. Taste Description: Sweet, Floral, Rose, Citrus, Green. Odor Description: Floral, Sweet, Rose, Green, Fruity. Fresh, rosy, fruity odor reminiscent of geranium oil. Odor Description: Fruity, Floral, Rose. Botanical Name: Citrus clementine, Hort. Odor Description: Fruity, sweet tropical note of clementine. Warm, clove, sweet, fruity, woody. A simple, yet deep rich, creamy cocoa scent. (NOT Soluble in oil. Alcohol and Water Soluble ONLY). A modern and crisp, clean, and powerful cologne accord. Odor Description: Warm, Balsam, Spicy, Peppery. up to 50.0000 ppm in the flavor. Sweet, herbaceous, warm, somewhat spicy, in dilution - hay like. Previously named 'Cucumber Aldehyde (Natural),' this product is an Aqueous Mixture of Cucumber Extract at 99.95% and proprietary natural FEMA/Gras ingredients at .05%. Crisp, green, fresh & light cucumber. Odor Description: Fruity, Sweet, Balsamic. Fruity, pineapple, peach, mango top note with amber and chocolate nuances. Odor Description: Floral, Green, Powerful. A powerful green note with fruity and herbal aspects; fresh, fruity,woody, green apple. Odor Description: Sweet, Powerful, Ylang. Distinguished by its blue color, this essential oil is know for its fresh and woodsy characteristics. Odor Description: Smoky, sweet-balsamic tenacious odor. Fruit forward, sweet, apple, floral, mild wood note and nuances of unripened berries. Fruity, floral, blackcurrant, plum, rose, honey, tobacco. Underlines Damascone-like aspects. Provides brandy-like connotations. Dewfruit is the proprietary name of a product formulated by Quest: ABQ2977. Quest is no longer operational and its formulas have been acquired by another large fragrance house. Odor Description: An exotic fruit, lychee, raspberry with a touch of herbal green. A very elegant fruity blend used in many popular modern perfumes. Similar to eugenol, a great addition to carnation, jasmine or spicy flower accords. Odor Description: Woody, Floral, Orris, Ambery, Fruity. Cologne fresh floral lavender lasts several hours. Warm herbaceous floral reminiscent lilac, elderflowers. Odor Description: Fruity, Floral, Rose, Jasmin, Herbal. Fruitier and much more longer lasting than the corresponding acetate. Waxy dry rosy odor (Rhodinol) a.k.a tetrahydrogeraniol. Odor Description: Citrus, Fresh, Fruity. Odor Description: Lavender, Citrus, Fresh, Floral, Woody. Odor Description: Floral, Green, Rose. Odor Description: Woody, Sandalwood, Musky, Powerful. Warm, deep, smooth, and creamy with rich roasty undertones and hints of cherry. (NOT Soluble in oil. Alcohol and Water Soluble ONLY).